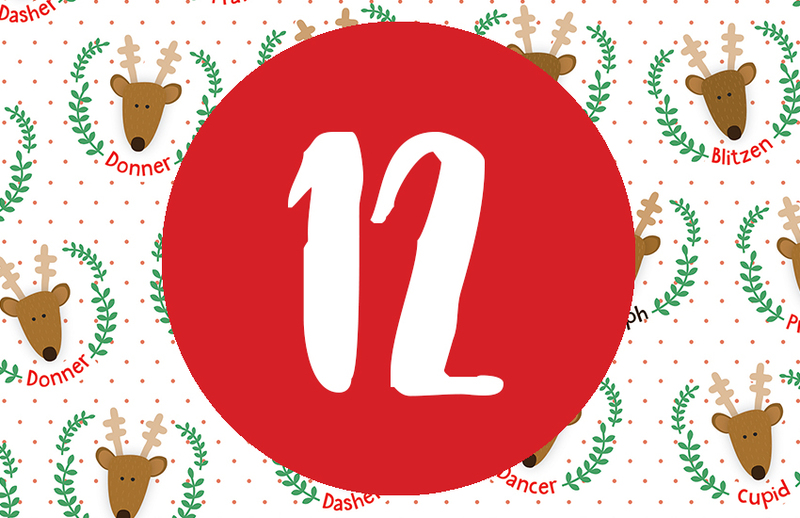 It’s Day 12 of our Christmas Advent and we have a Christmassy treat for you. We’ve got a wonderful free Helz Cuppleditch printable for you to download, print and craft with! Our free Helz Cuppleditch printable is perfect to Christmas craft with! Featuring endearing, traditional illustrations and sentiments, these are perfect for adhering to the front of cards for a festive focal point. We’re going to show you how to get the best out of these designs as we take you step-by-step though a stunning three-dimensional card design using the Wonderland collection. If you’re in need of further inspiration, we also created a few more card designs for you to take a look at. 1. Cut out your chosen Helz Cuppleditch image from the free printable. 2. Adhere one of the papers from the Wonderland paper pad to a 6”x6” cardstock. We opted for the blue snowflake design to match the cut out from the printable. In the centre of your piece of card adhere the printed design. 4. Take another sheet from the Wonderland paper pad – we chose the beautiful red snowflake paper. In the centre of the sheet, cut out a 9cm x 9cm aperture. 5. Cut a piece of white cardstock to 9cm x 15cm. Score this at 1cm interval vertically. 6. Concertina the piece of card and then repeat so that you then have two pieces of concertinaed card. 7. Using Perma-Fix tape, adhere one side of the concertinaed card to the left and right-hand side of the blue backing paper design. Then, attach the red paper to the other end of the concertinaed card. 8. Decorate the bottom of your design with the Wonderland decoupage sheets. Add these with adhesive foam pads for a three-dimensional effect. 9. Add the wonderland bunting flags to the top of the design, along with a Christmas sentiment. Your design is now finished! This card is sure to be a hit with your family and friends this Christmas. We also created this side step card using the free Helz Cuppleditch printables, combined with the Wonderland collection stickers and papers! This scalloped edge 5”x7” card is also a great use of the free printable, using the adorable circular design in the centre of the card paired with one of the festive sentiments. Combined with Wonderland’s super festive papers, this is a super simple yet wonderful Christmas card. How will you use our free Helz Cuppleditch printables? We’d LOVE to see, so don’t forget to #tcxmas2017 when uploading to social media and to share your makes in the Inspiration area.